June 21, 2012 • Heidi Shenk • "design a day"
Recently I bought a whole heap of washi tape at Target so that I could use it as a final touch on my packaging for my outgoing orders. I tie up each of my orders with twine and use a button for the knot. Then I slip one of my business cards under the twine. However, I was always worried that the card would get lost in the mailer and that my customers wouldn't get to enjoy the little note I had left for them on the back of the card. 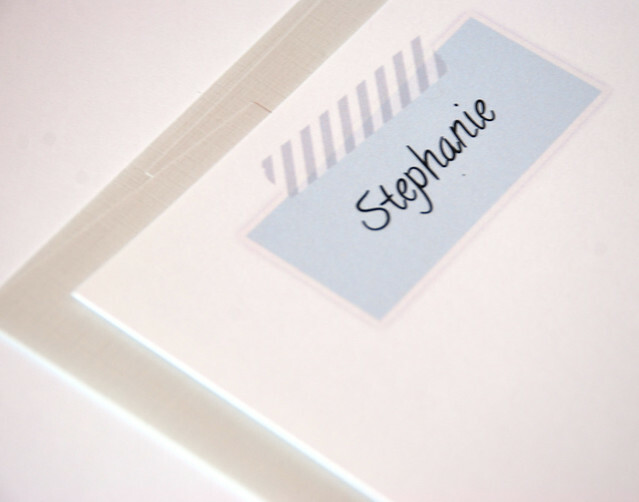 So enter washi tape as a cute little way to attach my business card. I had just finished packaging up an order with washi tape when a thought crossed my mind. 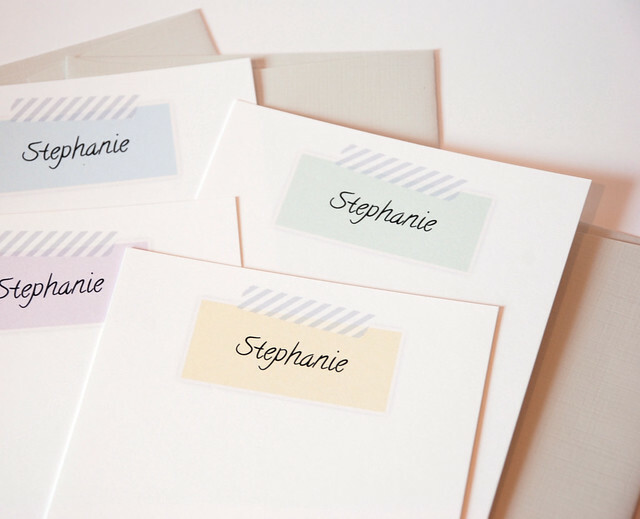 Why not make stationery that looks like a little name card has been taped to the flat note? 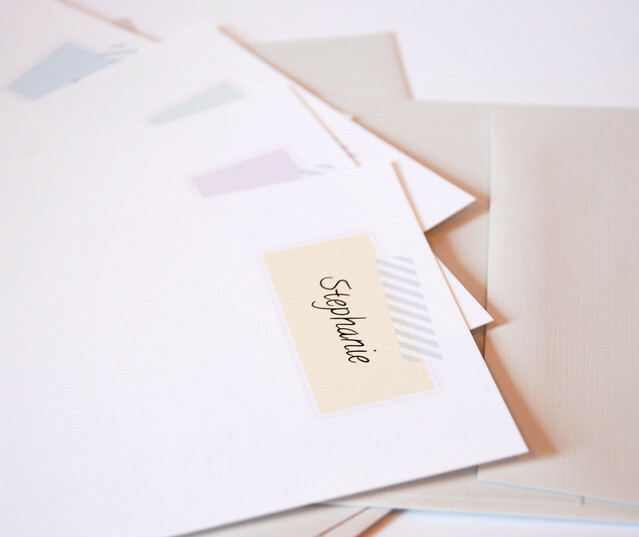 Enter this new set of stationery. These are probably the most girly flat notes I've designed in my entire life. Easily. And as we all know, I'm not one to be super girly. However, this design just needed to be made. It is one of those designs where a vision of how it was supposed to look flashed through my mind. And you know what? After the final product was finished, it looked EXACTLY like my quick two second vision. Awesome. It isn't every day that that occurs, but when it does, it is definitely something to be happy about.